On March 12 (Thursday) Embassy of Latvia in Lithuania together with the Institute of International Relations and Political Science of Vilnius University (IIRPS) invite to participate in the Baltic Media Seminar, which will take place at the premises of IIRPS (Vokieciu st. 10, Vilnius) (Room 402), from 9 a.m. to 15:30 p.m. The event will consist of three panels, during which the new challenges created by the information war, broadcasting regulation in Baltic states and possibilities of Cooperation in Baltic media space will be discussed. The event is supported and will be opened by H.E. Speaker of the Parliament of Latvia Mrs. Ināra Mūrniece. On November 7, 2013, Institute of International Relations and Political Science at Vilnius University and Center for European Policy Analysis (CEPA) signed a Memorandum of Understanding. Operating under this MOU, CEPA and IIRPS VU agree to the following areas of cooperation: pursuing mutually beneficial grant opportunities; featuring one's another analytical products where appropriate; pursing future participation in the U.S.–Lithuania Program etc. 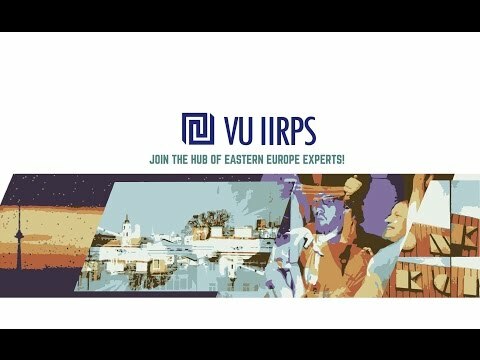 This MOU will further strengthen the history of IIRPS VU–CEPA cooperation, which includes: IIRPS participation in the 2013 CEPA U.S.–Central Europe Strategy Forum, IIRPS VU expert analysis for CEPA publications and proposed joint programming activities. For well over a decade “transition” in domestic and external dynamics in Central and Eastern Europe stood for transition to a governance based on values of peace, democracy, respect for human rights, justice, equality, rule of law and sustainability as defined by the EU founding treaties. Kremlin policies challenging the European solidarity have rightly been a key focus for policymaking in the Baltics. At the same time they were driving reforms towards a more “European” kind of governance as an antidote against undemocratic processes just across the Eastern border. The Institute of International Relations and Political Science and Freedom House invite experts, politicians and students to join a discussion based on the findings of the Freedom House “Nations in Transit 2016” survey. The discussion will take place at the Institute of International Relations and Political Science (IIRPS VU), 402 aud., Vokiečių str. 10, Vilnius, on 9 September at 9.30 – 11.00 am. This international conference for small states´ specialists will focus on security and defence policy choices and challenges of NATO small states and small NATO partner states in Eastern Europe, the Middle East and North Africa (MENA), and Oceania. The closing date for panel proposals is midnight CET on 31st of March 2015. Proposed paper title and summary of its theme (approx. 250 words + up to 5 keywords). The closing deadline for paper proposals is midnight CET on 8th of May 2015.